Shell: 93% nylon 7% spandexContrast: 84% poly 16% spandex. Elasticized waist. 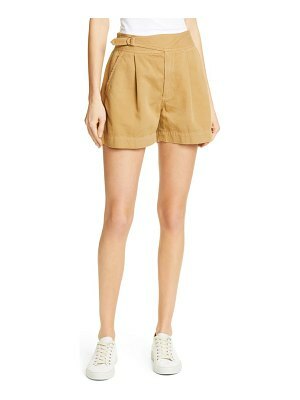 Shorts measure approx 10"" in length. ADID-WF17. M61543. Adidas by Stella McCartney offers women cutting age sports performance clothing they can work out in while still feeling good about the way they look. Not compromising style for performance, the balance is struck between fashion and sport.